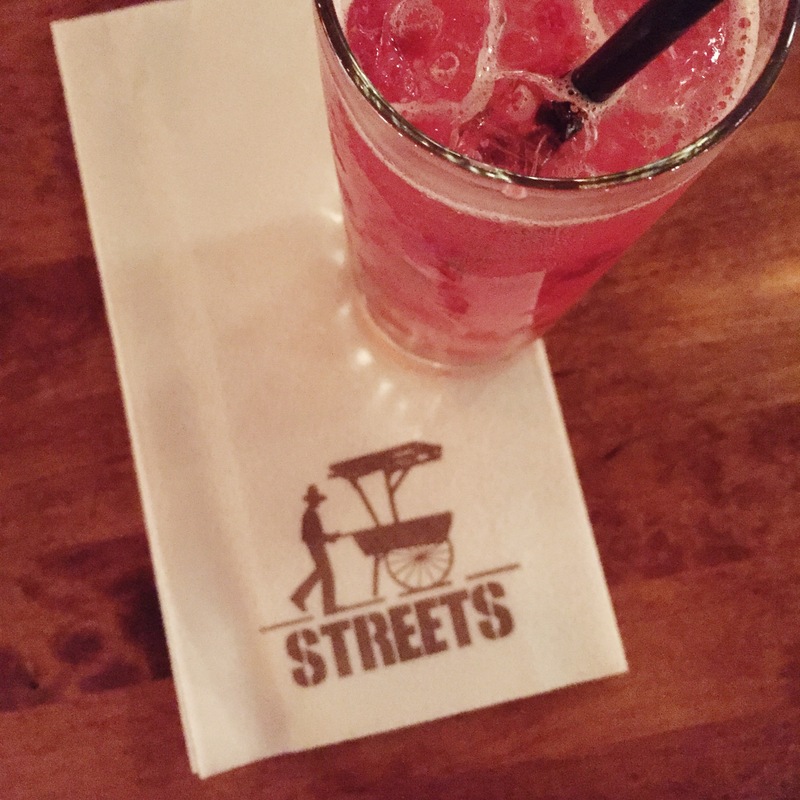 Street food has come a long way from hot dogs and pretzels. Especially here in NYC, the prevalence of food trucks has taken over as the new form of fine dining. You can get almost whatever you want, whenever you want, and be on your way. Aka the New York way. You can’t hail a cab in this town without smacking your hand into a new food truck. But what if you want an eclectic mix of dishes? And you want to sit down while enjoying them? And maybe have a cocktail? Then you need to visit Streets in Williamsburg. 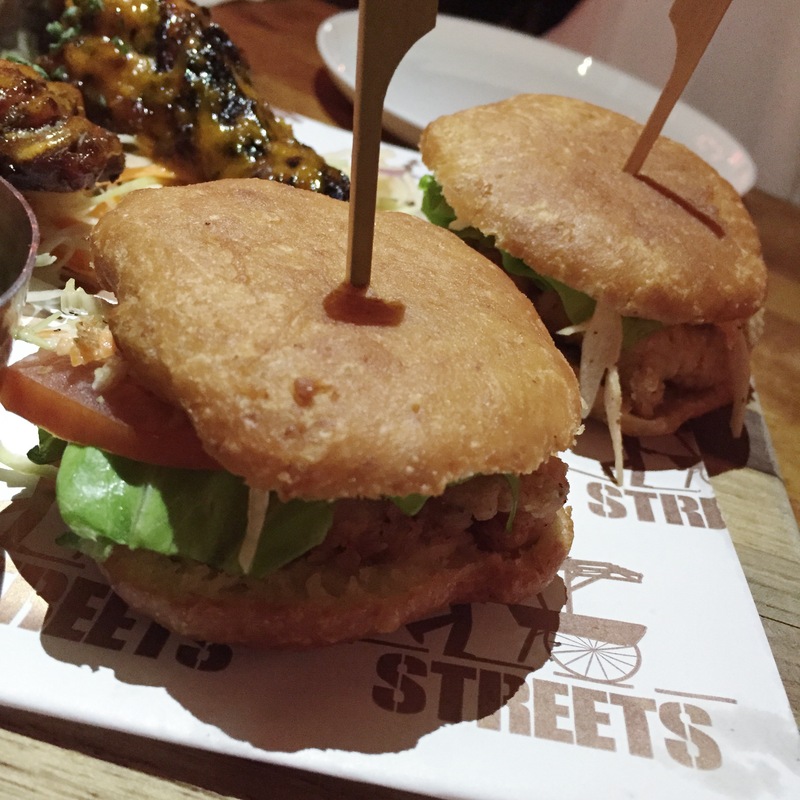 The concept and menu at Streets is pretty straight forward: small plates, entrees, sides, all split up into categories of meat, veggie, seafood, etc. and the offerings range from Thai to Lebanese to South African and Mexican. You get it. Street food from all over the world, in one place. Honestly, it was hard to choose, so I took the suggestions of the chef and went with the following round up. In no particular order, these were my faves. Spiny shark, coleslaw, lettuce, tomatoes, mango chutney, tamarind sauce. Um, this was delicious. 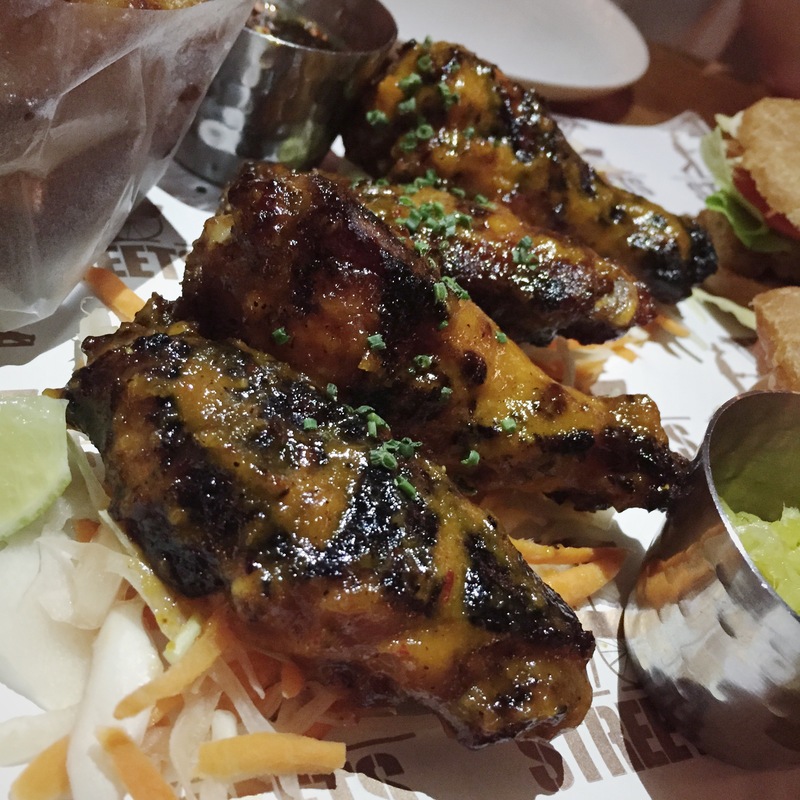 Crispy, tender, creamy bite of slaw and tangy from the mango and tamarind. Perfect. Must order. So we actually got mini versions of this, since we had a lot of other food (shock). We skipped the baked beans hot dog, and just got the hot dogs topped with duck confit and the Greek ones topped with tzatziki. 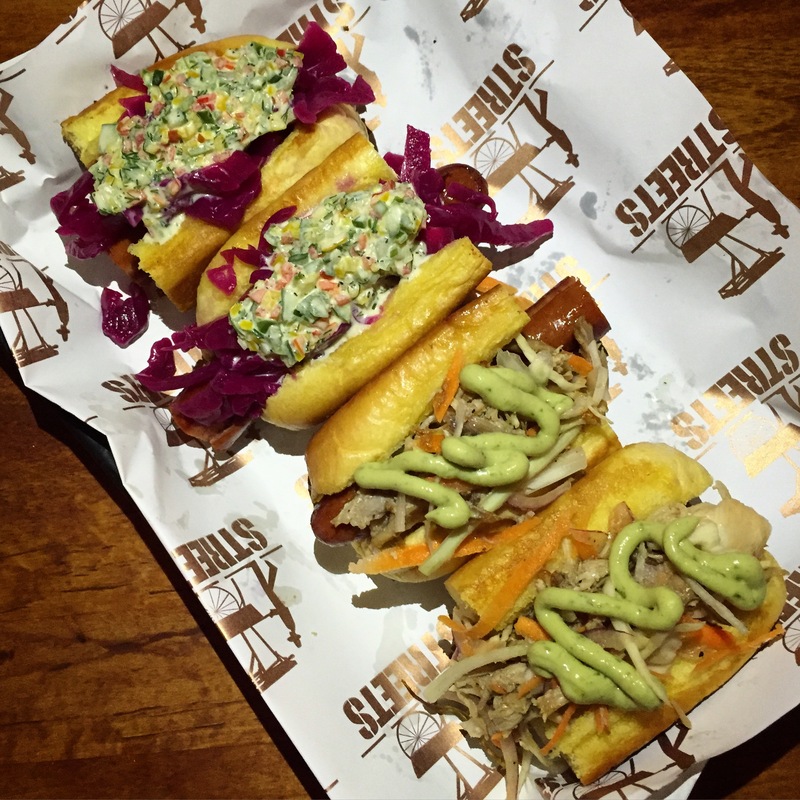 I liked both, and normally duck confit on anything is the way to my heart, but I really liked the tzatziki best; the cool topping with yogurt, cucumber, peppers and dill really complemented the hot dog. This does not mean sandwich, by the way. I thought it did. This was actually probably my favorite dish and wait for it…IT’S VEGETARIAN. 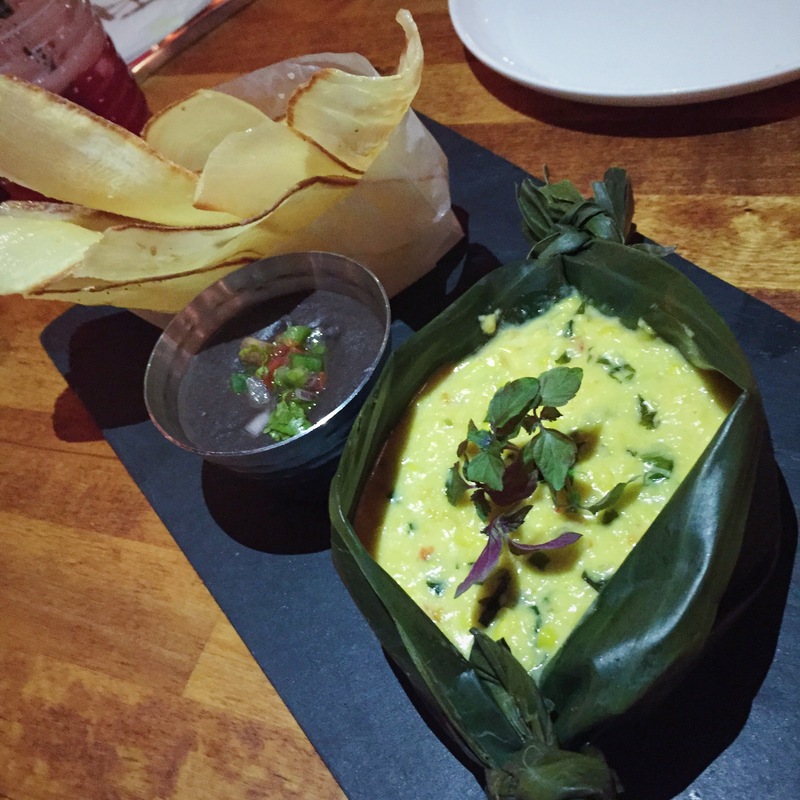 It’s a corn dip made with coconut cream, basil, onions, smoked ancho chilies, and served with spicy black beans and fried yuca chips. Amazing. I can’t stress enough how sweet, spicy, and satisfying this was. I asked the chef for the recipe for my next Super Bowl party. Seriously. If street food was comfort food, this would be the poster child. You know I loves me some wings. I can eat them pretty much anytime, anywhere, any way. These South African style wings were nice and crispy, as well as spicy, but they had a little too much ginger in there for my taste. They were also served atop a bed of shredded ginger and carrots, so the taste was overwhelming for me. But hey if you like ginger, this might be right up your alley. I’m going to make this really easy for you. Chicarrones (pronounced chee-cha-rone-nes) are bacon. It’s bacon. Thick little balls of bacon. 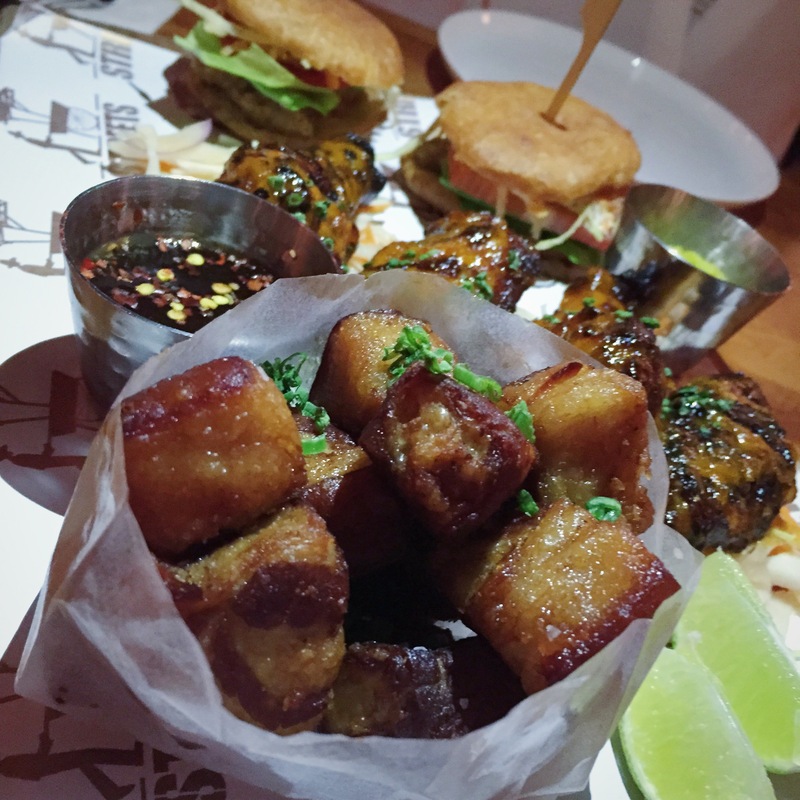 Technically it’s fried pork belly, so some of the pieces are a little fatty, and some are crispy. Either way, they are salty and delicious, but for me, I can’t take the super fatty bits. It’s a texture thing.